Lisa Pollitt has worked with children and young people for over 20 years. Lisa started her career as a Youth Participation Worker supporting young people’s involvement in decision making within local authorities and with central government. Lisa won an IPPR/Guardian award for her work in this area and was a key player in setting up the Participation Network for England (now called Participation Works). During this time she was also a Designated Child Protection Officer at Cambridge City Council. Lisa went on to become a Safeguarding Lead within a large FE College and set up the first Safeguarding Conference for FE and Higher Education in Cambridgeshire. 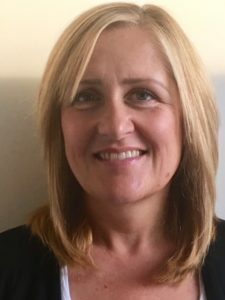 Lisa now runs her own successful Safeguarding Consultancy and Training business, helping organisations to understand their safeguarding responsibilities within their specific areas of work. Lisa feels strongly that safeguarding issues can affect any one at any time so it is best for organisations to be proactive rather than reactive.